Any of these sound familiar? 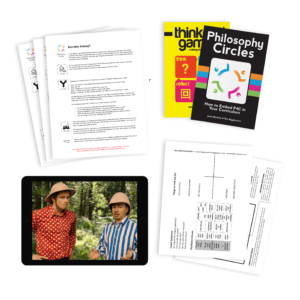 If so, the Philosophy Circles Primary Curriculum Pack, available for delivery in time for the new academic year, is a must-have. Any of these sound familiar? 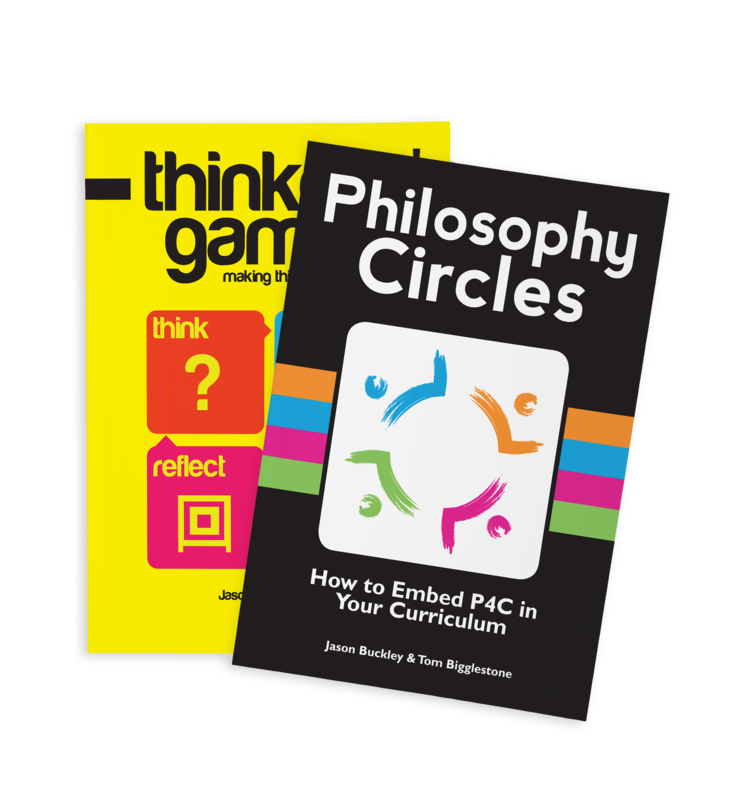 If so, the Philosophy Circles Primary Curriculum Pack (PCPCP), available for delivery in time for the new academic year, is a must-have. The pack includes 160 no-prep session plans, some for every subject in the curriculum. For those who can have stand-alone sessions, we’ve included a sequence of ten recommended session plans for each year group from reception to Year 6. In addition, 100 “Spot and Stripe” videos provoke instant discussion. These 100 ‘shorts’ are divided by age group from Reception to Year 6. They provide a perfect introduction to philosophy for younger and older children alike, modelling discussion and argument through colourful, fun characters and irresistible questions. Each pack comes with 10 copies of our Philosophy Circles minibooks. Thousands of hours of doing philosophy with children and teachers is distilled into 48 readable, A6 pages. Small enough to fit into your pocket (“I've been carrying it around for months!” said one teacher), the book is built around three memorable principles that create engagement, challenge and independent thinking. It helps teachers stay true to the “why” of doing philosophy as well as giving do-able options for the “what”. Also included is 10 copies of Thinkers' Games. 38 adaptable games to help children throw themselves into the joyful argy-bargy of the argument. 38 different ways to drive engagement and make thinking fun! “I get worried that the discussion will dry out." Our brand-new Enquiry Dashboard is perfect for boosting teacher confidence in the face of the unknown. Designed for use during an discussion, it places the distilled experience of years of facilitation in the hands of teachers new to P4C. It comes with 32 short videos to explain each Teacher Move and Community Builder. Our brand-new Discussion Dashboard is perfect for boosting teacher confidence in the face of the unknown. 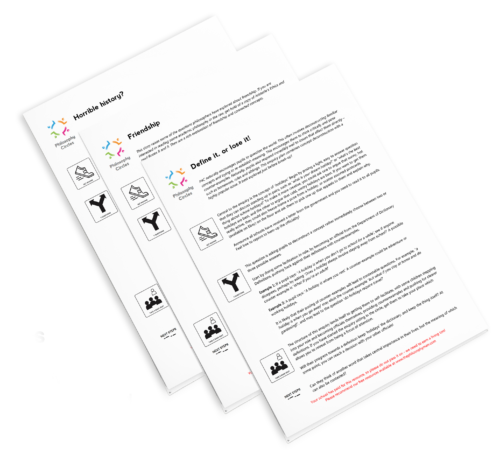 Designed for use during an enquiry, it places the distilled experience of years of facilitation in the hands of teachers new to P4C. After 30 plus years of teaching, advisory and inspection experience I thought I’d seen plenty of innovative and exciting approaches in the classroom but whilst sitting in a session led by Tom I couldn’t help feeling that here was something new and of superior standing. Philosophy Circles is like a magic portal (dare I say TARDIS….bigger on the inside!). I've been carrying the book around in my handbag for months. Just 50 pages but packed with an ever expanding wealth of resources and don’t get me started on what it feels like when you try them out in class. As the book says ‘take the road less travelled’ and it will make ALL the difference to your class!" Need to convince SLT? Best to forward them this page, or if they need something on paper, download a PDF flier below. Got a question about P4C at your school? If you are interested in pupil workshops, staff training, or have a question about P4C, please fill in this form. We'll get back to you as quickly as we can.